Four years after the uprisings that swept across the Arab world, we are left with consolidated dictatorship, outright civil war or failed states. "Arab spring" by "Flickr/Denis Bocquet" is licensed under "CC-BY"
During spring 2011 the streets in Cairo, Tunis, Rabat, Sanaa and across the capitals in the Arab world where filled with people putting off decades of fearful obedience, raising their voice to express their grievances demanding change. The uprisings that swept across the Arab world in 2011 were remarkable in many ways. The protests broke with the oriental and paternalistic perception of “respected” authoritarian leaders. They also told us that demography matters. It was the disenfranchised youth that initiated the protests in most places, a faction of society that never before appeared on the stage as a relevant political actor. The youth across the region felt united in their demand for change. ”We felt we had the same struggle and we were in the same situation as the people in Egypt or Tunisia with the same demands”, an activist of the 20th February movement in Morocco said. Despite the unprecedented protests throughout the region the bottom line prevails rather grim. 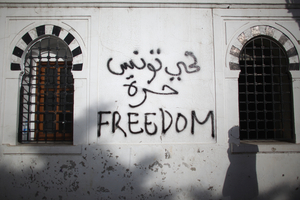 Four years later – except Tunisia – we are left with consolidated dictatorship, outright civil war or failed states. Recently illustrated by the coup of the Houthi militia in Yemen and the violent fourth anniversary of the revolution in Egypt. Such rhetoric can increasingly be found in speeches of autocrats across the region from Bashar Al Assad to Mohammed VI of Morocco: “There are no degrees of patriotism or of treason. For either one is a patriot, or one is a traitor.” The construction of a threat in the face of a popular uprising is not a new strategy and has proven effective for those states that were able to avoid the fall f the regime. Even in Tunisia –the lighthouse of the Arab Uprisings– threat scenarios are constantly used by parts of the old elite to prevent substantial reform of the interior ministry and the related security forces. Amine Khali a Tunisian researcher working on transitional justice said: “The window for security sector reform is closing. The interior ministry successfully pacted with old and new elites in the face of growing security concerns in order to avoid substantial reform and accountability.” Similar patterns could be observed in Morocco. But what is so worrying about this development? The answer boils down to the fact that the authoritarian elements have prevented change by successfully creating a threat and imposing themselves as the only alternative. They have instrumentalized fear in their favor and ultimately securitized the regimes themselves. However there is as much violence at the heart of authoritarian regimes as might be triggered by the uncertainty and turmoil of revolutionary moments. 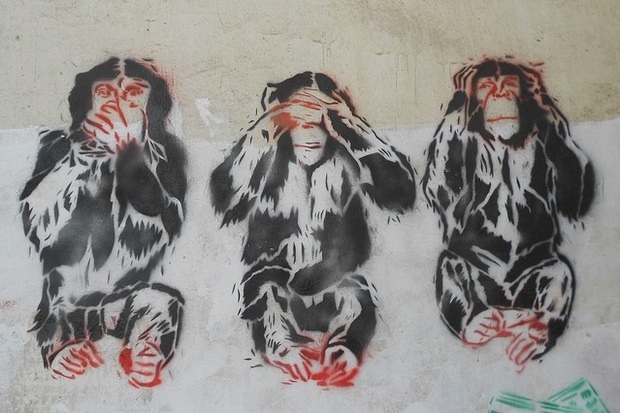 We know that many revolutions fail and lead to no change at all or new authoritarian regimes. Nonetheless mass mobilizations always carry the possibility of substantial change towards more democratic politics with them. Ultimately the predominant fear of instability cannot be a reason to oppose change that entails the possibility of enduring freedom from oppression. As mentioned at the beginning, an entire generation – that constitutes the majority of the population– has risen up against tyranny. Although they might be disillusioned and largely fallen back into political apathy, their grievances will not fade as long as despotism reigns in the region. The next time the young generation makes their voices heard the West should be prepared to stand by their side. To help them overcome the fear of chaos and anarchy. Ilyas Saliba is a research associate at the department democracy and democratization at the WZB Berlin Social Science Center and a PhD candidate at the Berlin Graduate School for Social Sciences (BGSS) at the Humboldt University. 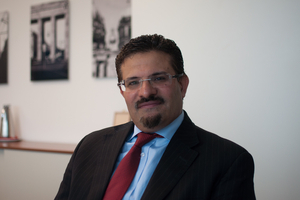 He also is an associate fellow to the EU Middle East Forum at the German Council on Foreign Relations (DGAP). Furthermore he is a freelance journalist and photographer, covering political developments in the Middle East and North Africa – especially Morocco, Tunisia, Syria and Egypt. What’s left of the Arab uprisings?